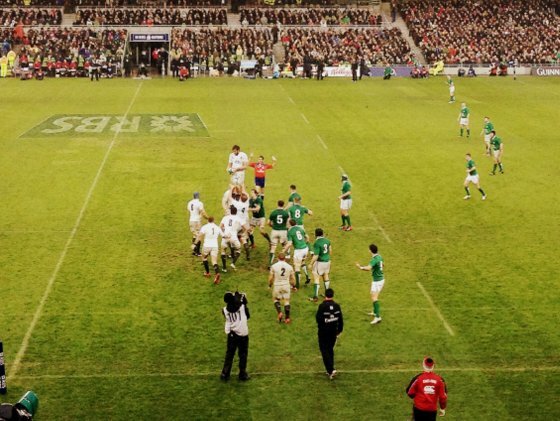 This Sunday I was at the Aviva Stadium in Dublin to watch the key Six Nations Rugby game between Ireland and England. England won. The Irish team played most of the game in the english half of the field. There were some inspiring periods of play. There were some great moves. However, all of this energy was not converted into points. The Irish managed to drop the ball, knock it on, run into unsupported positions each time they got near the English try line. The English got 5 penalties, all far out. Owen Farrell kicked 4 of the 5 penalties. 12 Points on the board. 12 points all taken from cheap penalties far from the try line. The Irish created lots of opportunity and scored twice. The English were pretty boring, but converted 4 out of their 5 opportunities. Boring and consistent will beat Brilliant and Careless every day. A golf tournament requires consistent play over 4 days in order to win. You can lose the tournament in 1 moment, but you cannot win it with one single shot. I remember many tournaments where some player throws away a 3 shot lead, built up over 3 days… in an instant. Life is similar. Success is a few simple good habits repeated every day. Failure is a moment of carelessness. I cross the road everyday. I look both ways every day. Brilliant but careless against boring and consistent. Your ability to get “Return on Luck” is more important than Luck.